Future Today, the multi-platform video distribution company, has entered into a partnership with Paris and Los Angeles based producer and distributor Cyber Group Studios, to launch YayToons, the free app that features fun and safe animated content for children ages three to eight years. Nearly 300 episodes from a multitude of series are available in the U.S. on OTT platforms, including Amazon Fire TV, Roku, and Apple TV, with potential for further expansion in the future to other platforms both in the U.S. and internationally. “We are thrilled to have an OTT platform to showcase our animated series that are enjoyed by kids worldwide under the new Cyber Group Studios brand’s YayToons and also to have a great partner in Future Today,” says Richard Goldsmith, CEO & President, Cyber Group Studios USA. Future Today is distributing via the YayToons branded platform the slate of series from Cyber Group Studios for preschoolers and kids, including The Bellflower Bunnies, Mini Ninjas, Mirette Investigates, The Pirates Next Door, Adam’s Bakery, Zou, Balloopo, Mia, Leo The Wildlife Ranger, Tales of Tatonka, Adam’s Bakery and Animalia with more to come. 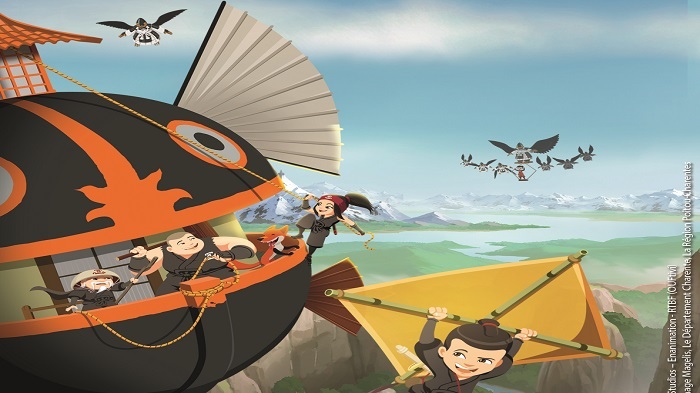 “YayToons guarantees something for all kids with exciting magical adventures where you can battle alongside Mini Ninjas, hang out with a family of zebras on Zou, learn about animals with Leo the Wildlife Ranger, and much much more, and we are thrilled to be in partnership with Cyber Group Studios to utilize distribution capabilities to bring this valuable branded content to numerous OTT platforms,” comments Vikrant Mathur, Co-Founder of Future Today.